“The very first thing that you have to say upfront absolutely is we know we’re not making documentaries,” says Dr. Stuart Sumida at the top of a new video from The Verge. 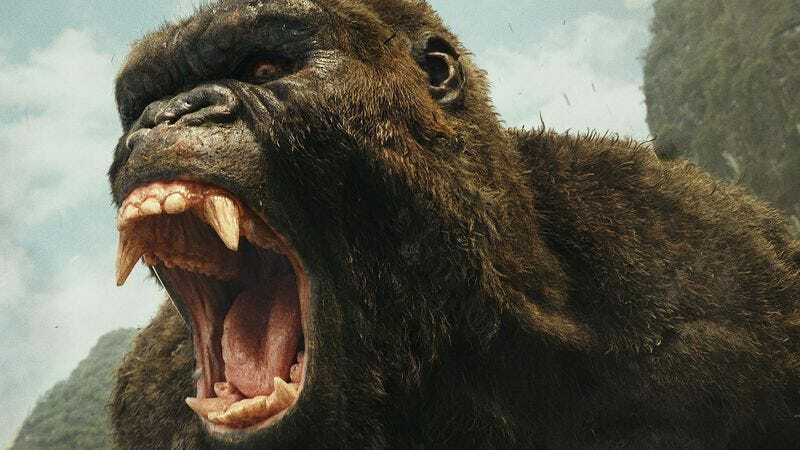 Dr. Sumida, a professor with the laboratory for vertebrate paleontology at California State University, is an advisor on modern Hollywood creature features like this year’s Kong: Skull Island. His job is to help root these monsters in some semblance of reality, even if it’s still steps removed from our actual world. One of the questions academics like Dr. Sumida help solve are sometimes shockingly basic ones: What would a giant ape actually sound like? Or a velociraptor? Do they roar like a lion, or honk like a goose? That’s the question this video posits, and it stumbles upon some fascinating stuff in its search for an answer. Discussions with multiple academics reveal that the sounds we hear booming from these monsters are, unsurprisingly, not wholly accurate. Drawing upon discoveries made in studies of duck-billed dinosaurs, it actually turns out that these types of monsters likely made a sound that was less roar and more didgeridoo. This type of low-frequency sound can be heard from some of the dinos’ modern-day ancestors, after all, including the alligator and ostrich. Don’t expect Godzilla to suddenly start mooing, though. While film producers consider these sorts of questions, their number-one concern is and will always be to get butts in seats. There’s something decidedly unsatisfying about the notion of Jurassic Park ending not in an earth-shaking roar but a realistic, throaty warble. FKA Twigs pole dances into fantasy in the immersive clip for new single "Cellophane"